Congolese President Joseph Kabila has put off a planned visit this week by U.N. Secretary-General Antonio Guterres and refused to see U.S. Ambassador to the United Nations Nikki Haley, who diplomats said had also separately planned to visit Kinshasa. “As for Nikki Haley I don’t see why and how the president’s refusal to see her has created so much controversy. 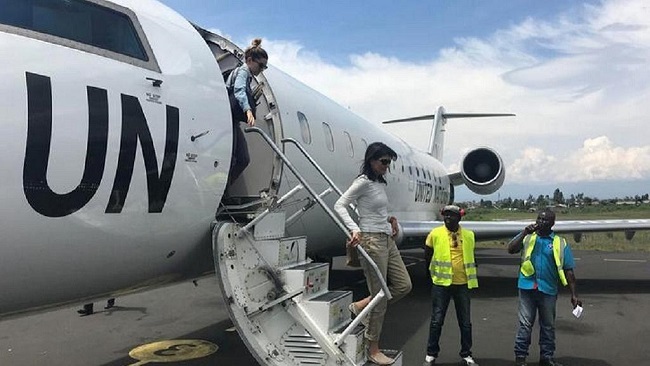 Nikki Haley … was already in DRC (Democratic Republic of Congo) and she met President Kabila,” Mende said. The Congolese foreign ministry said in a statement that Guterres and Faki “remain welcome in Kinshasa at a date to be agreed on jointly.